Thought this was funny. Actually its the model village in Babbacombe in Devon England. Worth a visit if you are moving to South West England. Of course if you are using UPakWeShip there shouldn’t be any scratches as long as you pack it right for international shipping. For more tips on International packing click here to see how to pack everything safe and sound for an international move. If you are moving to England from the USA our own UPakWeShip UK office in Devon, England, will take care of your customs clearance and delivery for you. If you are moving from England to the USA we can take care of all your international moving needs with one company door to door. Don’t forget, UPakWeShip has self load containers of all sizes with guaranteed lump sum all inclusive prices. Whatever you can load and fit, ships for the listed price. No extras. No surprises. 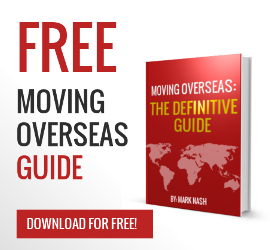 International moving and shipping made easy. For online international moving rates click here.